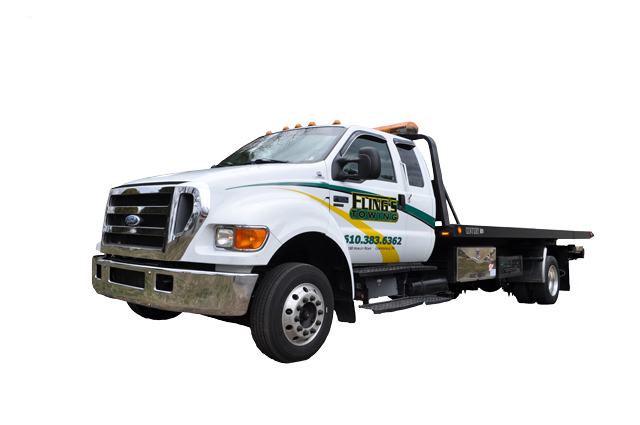 24 Hour Towing for Southeast PA area. 610-383-6362 Mobile device detected. Press button to call. Stranded? See: what to do in a breakdown. 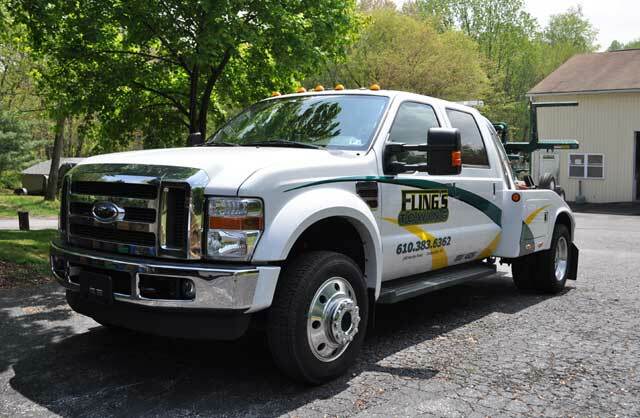 Fling's Towing was founded in 1985 by Daryl Fling and has been serving Coatesville and surrounding areas for over 33 years. Daryl has over 40 years of towing experience and employs a trained and professional staff held to the highest standard. 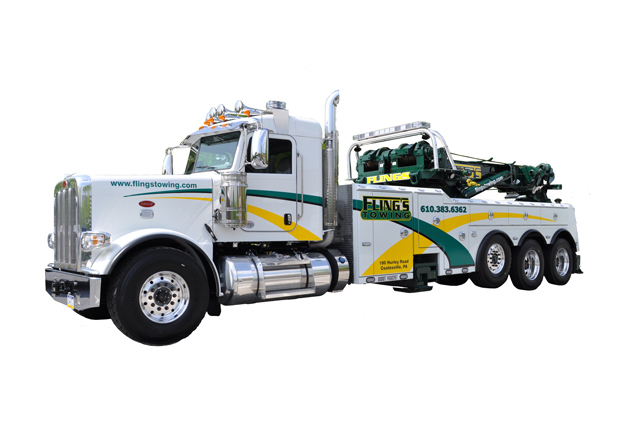 Fling's Towing has a fleet of trucks equipped with state of the art equipment to ensure your vehicle is towed properly and damage-free. We have built our reputation on our commitment to providing quality service, which has earned us many valuable customers. 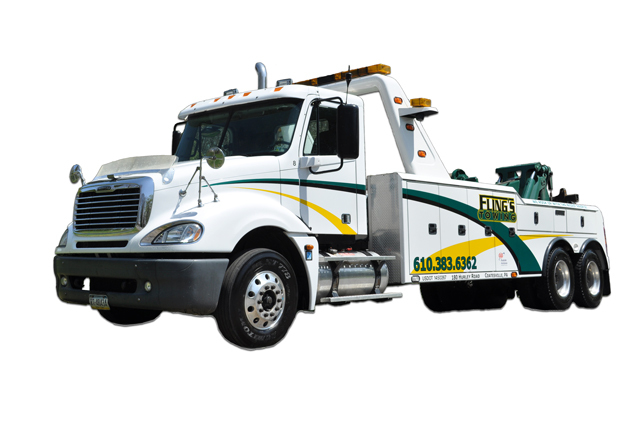 We are both licensed and insured, plus we are a member of The Pennsylvania Towing Association and Towing and Recovery Association (TRAA). Please call our modest staff to answer your questions and let us meet any of your towing needs 24/7, 365 days a year. Are you aware of the 'Slow Down Move Over' Law? Learn about how you can protect both yourself and others when you see a disabled vehicle. Check out some of our fleet. We can tow anything!